As in my letter “I am a ‘Teacher’”, I would like to ask some questions to see if we can improve our parenting skills. Can we do better? Off course we all can! There is always room for improvement! In this letter I will only address one CRITICAL subject that will without a doubt impact you child’s life and future. First a question to you: How strong is your self-image? Do you love the person staring back at you in the mirror? I’m not asking whether you think you are better than other people – that’s nothing but pride. I’m asking whether you know and completely believe that you are good enough? Do you love you? Most children who grow up with negative self-images, were raised by parents with even worst self-images. Let’s see how you really feel about yourself. Which of the following statements describe you best? Chances are that your child will identify with more or less the same list you identify with. And where would you place your parents’ names? You see, self-image is very often projected from parent to child. This could be terrible news, since your self-image is one of the most important feelings that you have! It determines how you treat yourself and others – your spouse, your children, your family, your friends, your employer, your colleagues and even strangers. It determines whether you add value to society or not! It even impacts your faith. So what could you do about your own as well as your child’s self-image? If you can’t do anything, all hope will be lost. But there’s always hope! Any negative self-image can improve and people can change! In John Maxwell’s book “The 15 Invaluable Laws of Growth”, he talks about “The Law of the Mirror” which says the following: “You Must See Value In Yourself To Add Value To Yourself”. In that chapter he shares “golden nuggets” of knowledge on how to grow your self-image. I would like to share one of these ideas with you. All day long you are talking to yourself. How many times have you spoken to yourself while just reading this letter? Too many times to count… Now the question you are confronted with is this: What does your self-talk look like? Are you kind to yourself or are you tearing yourself down most of the time? Would you feel comfortable letting strangers into your self-talk or would you be embarrassed? If your child doesn’t feel like a winner, Mom and Dad, it is 100% your responsibility to do something about it! You cannot wait another minute to take action!! Does my child know how special he is to me? Does my child know that I believe in her? Is my child convinced that he is accepted and loved by me just the way he is? Do you ever compare your children to each other or to other children? I’ll never forget the moment when a grade 8 girl told me, with tears streaming down her face, that she can’t forget the words of her father. He told her several times in her short lifetime, that she was the worst mistake he ever made. I tried to tell her how her dad was wrong and that she’s not a mistake, but it would take a lot more time than the few moments I had with her to undo the damage done! THINK before you speak! Life and death is in your tongue! 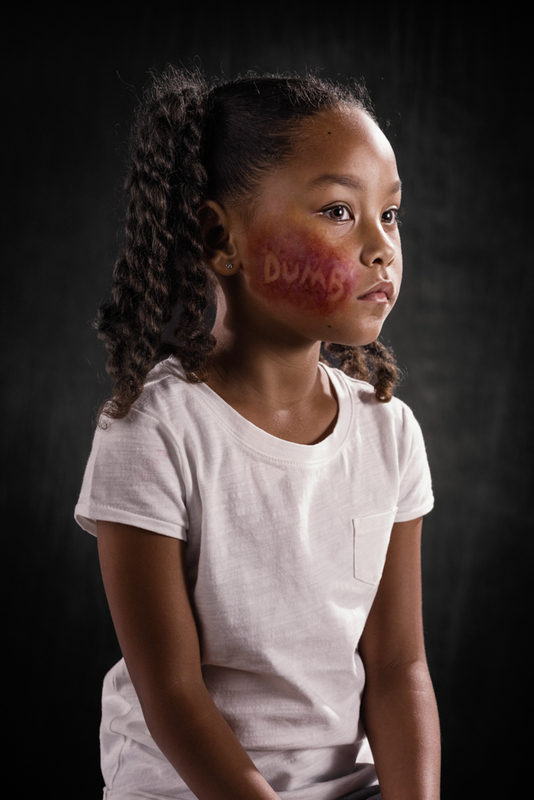 Children with weak self-images normally become bullies or are bullied by others. Children with strong positive self-images don’t have the need or desire to bully others. Why? Because they are secure in who they are and they accept others for who they are. Bullies are always kids with bad self-images. They bully others because it’s only through bullying that they experience a sense of power and being in charge of their lives. Unfortunately if the problem is not solved while the child is young, their bad self-images, together with their desire to bully others, will accompany them into the workplace – no matter how long or impressive their list of accolades or degrees are. The flip-side is also true – children with weak self-images are easy targets for bullies. Because they already struggle to love themselves, it’s easy for others to tear them down. Children with strong positive self-images don’t allow others’ opinions of them to destroy their lives! People with bad self-esteems struggle to consistently achieve success in life. Why? Because they don’t believe that they are worthy of that achievement or that they are capable! Nathanial Branden said: “If you feel inadequate to face challenges, unworthy of love or respect, unentitled to happiness, and fear assertive thoughts, wants, or needs, if you lack basic self-trust, self-respect, and self-confidence — your self-esteem deficiency will limit you, no matter what other assets you possess.” Neither your circumstances, nor your background can stop you from achieving success in life! Too many people have already proven this to be true! The only thing that has the power to stop you, is you believing that your circumstances or background defines you! If you believe a lie, you stop yourself. Your parents’ devastating blows might have stopped you before, but now you can choose. (Even though you can triumph over your parents’ words, make a choice to never let your words ever stop your child!) Have a look at this beautiful scene from “The Pursuit of Happyness” and embrace your responsibility as a parent today. The state of your child’s self-image, says a lot about the value you add to their lives. Your words have the power to break them or to empower them to continually succeed and grow – not only in the area of academics and sport, but also one day when they choose their careers and their love! There’s so much more I could say about self-image and your role as a parent in the development of your child, but I think this letter has already given you a lot to think about. Allow yourself to experience change in your own life. Don’t forget about what you’ve read – come back and read it again and again until it’s part of who you are. Become a parent who will raise children that will one day turn around and thank you for contributing to their lives in such a way. Raise your children on your shoulders, not under your feet. ‘Till next time – get busy RAISING LEADERS!